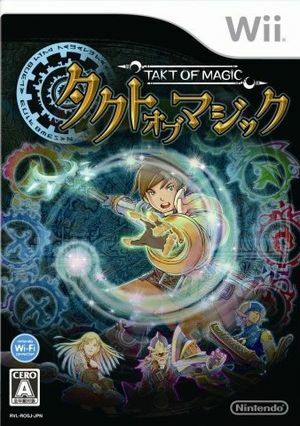 In Takt of Magic, a spiritual successor to Lost Magic, you're given control of Orwell and Sharlot, two childhood friends who face off on the battlefield against monsters and enemy soldiers. Gameplay consists of holding the Wiimote like a wand and drawing various shapes to perform over 100 different spells. In addition to casting magic, you are also given control of a battle party, whom you direct on the battle field from an overhead perspective. The graph below charts the compatibility with Takt of Magic since Dolphin's 2.0 release, listing revisions only where a compatibility change occurred. This page was last edited on 15 February 2018, at 06:44.